Safford Freeman was born in Georgia on Dec 13 1893. 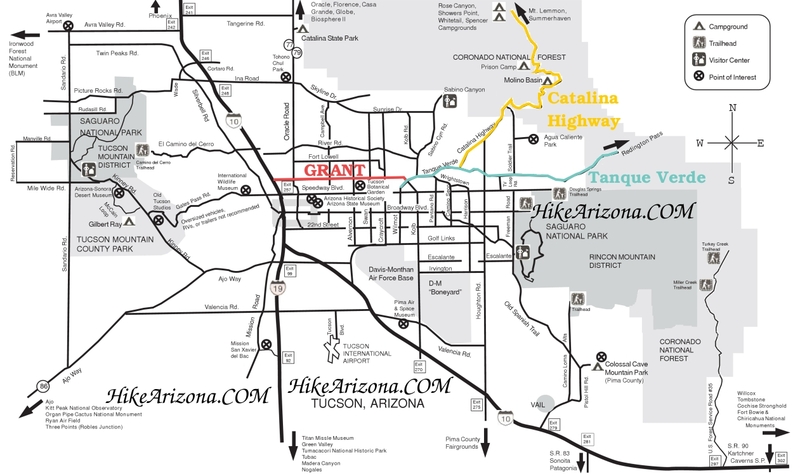 Freeman moved to Tucson in 1926 and in 1930 applied for a homestead. 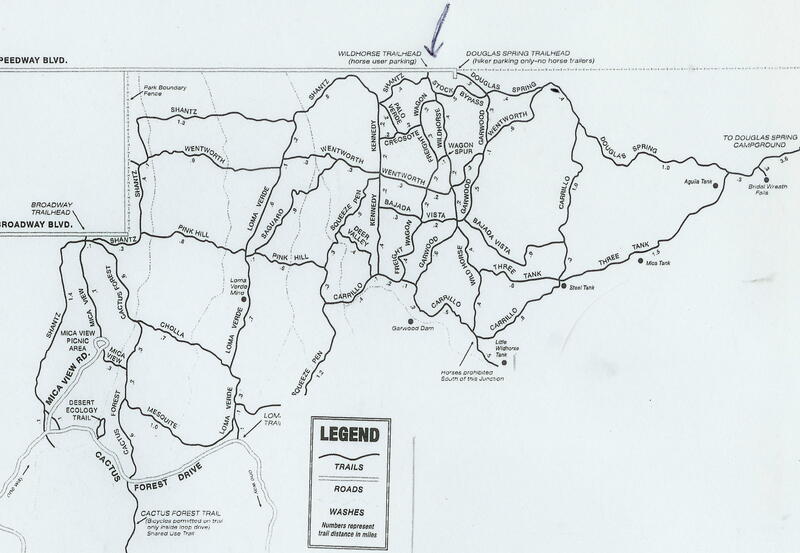 He was granted 640 acres covering an area both east and west of present day Spanish Trail. He built a 24 x 20 Adobe house where he and his wife Viola (1896) and their 3 children lived (Off and on, also had a house in Tucson). 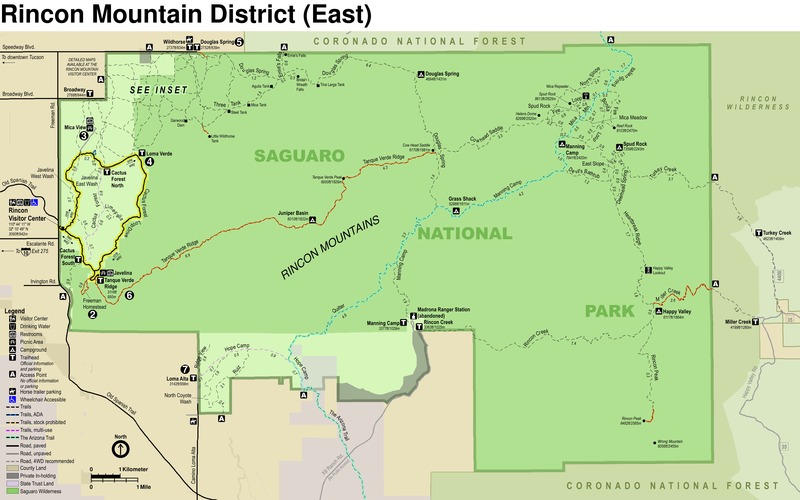 In 1952 Freeman sold 502 acres to the US department of interior and this land is now part of Saguaro National Park. Safford retired from the Southern Pacific Railroad in 1959 and died in 1968. His wife died in 1991. Some of his relatives still live in Tucson. Freeman Road is named after him. This is a real short summary of Safford Freeman, for a more complete story along with photos check out the internet. 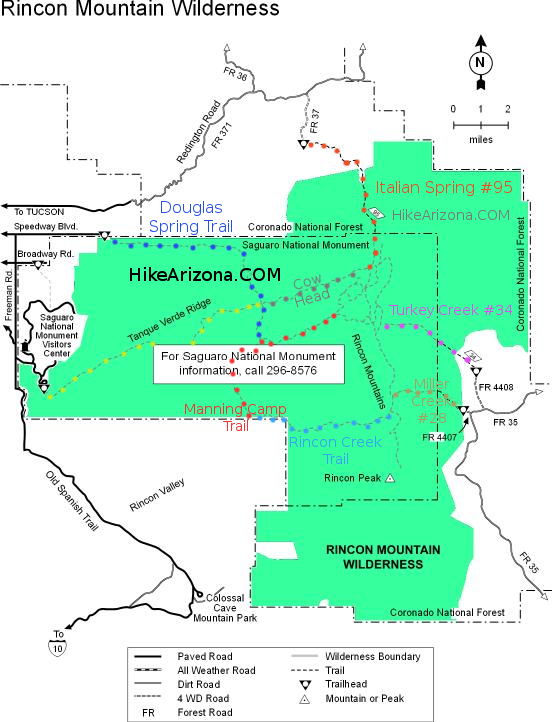 This trail starts on the road to Javelina Picnic Ground on the hill overlooking and just prior to the picnic area. From the road the trail heads down a slight ridge and continues for about .2 miles. The trail splits at this point, follow the arrow and head right. Continue on down this trail, taking time to read the informative signs that are geared for both adults and children. At about .4 miles the remains of the Safford Freeman House can be seen. Only a slightly raised dirt mound over the foundation is all that remains. The trail continues on down to an unnamed wash (I call Freeman Wash) and continues up stream along this wash for about .2 miles before exiting the wash and heading up hill to complete the loop. The trail has markers with arrows along the way so pay attention to these particularly in the wash. This unnamed wash drains the very west end of Tanque Verde Ridge and heads west toward Old Spanish Trail. I recommend reading up on the history of Safford Freeman on the internet before doing this trail. I actually spent more time reading the information about the Freeman family on the internet then it took to walk this trail. 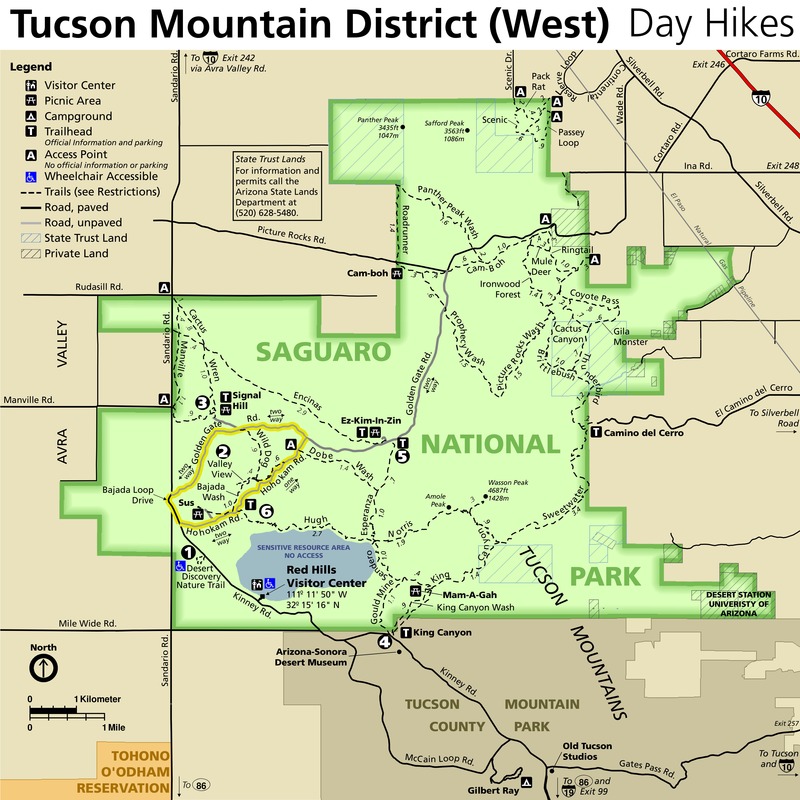 Saguaro National Park East, Cactus Forest Drive south to Javelina Picnic area. Parking spot .25 miles prior to Javelina Picnic grounds.